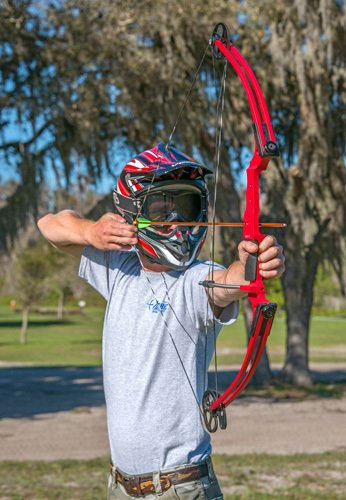 A thrilling attraction featured at Revolution Off Road, Target Archery is one of two main courses created on the 220-acre site. 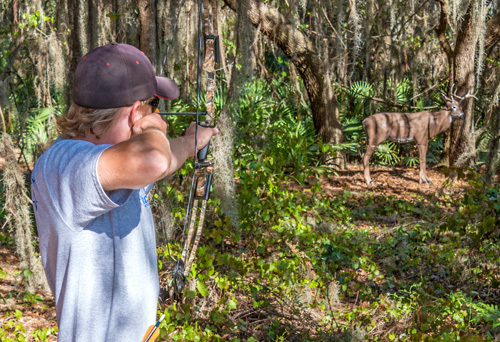 The course provides three certified instructors to assist with multiple levels of coaching on how to use each of the Genesis compound bows (left- and right-handed bows available), arrows and arm guards. Sessions last for 90 minutes and are ideal for ages seven and older. Coaching staff part of National Field Archery Association. Genesis compound bows for left and right handed users and the targets, arrows, arm guards are all inclusive in the price. Classes are 8 people or less. 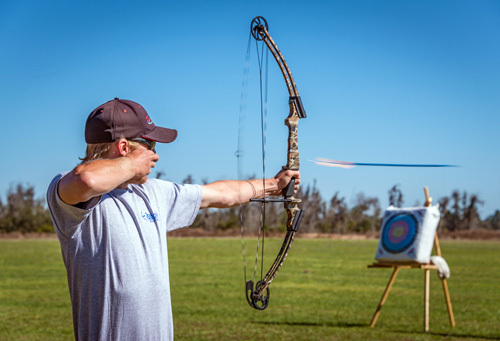 Revolution Experiences is now able to offer “Target Archery.” This amazingly addictive sport is growing rapidly by the year. The target is the first of 2 major courses to be developed on the 220 acre site. The Coaching team here have been in training and are now all members of the National Field Archery Association. We have 3 certified instructors to stage 2 level 2 Coaching and we have a Level 3 Coach on standby for those who can already shoot but need help to hone their skills. We have a range of Genesis compound bows for left and right handed users and the targets, arrows, arm guards are all inclusive in the price. This fascinating sport is available daily by reservation and the classes will be small (not more than 8 people at a session). Each session will last around 90 minutes and be priced with and without equipment. Suitable for children from 7 years of age and up. Archery makes a magnificent addition to the corporate events packages as well as team building and family retreats since it is a sport that all ages and levels can enjoy together.